The historic house that South Africa's national hero Nelson Mandela and his family used to live in from 1946. It is located in Soweto, the black township on the edge of Johannesburg that also has many significant historical connections with the story of apartheid and the struggle against it. And there are a few more points of interest related to that as well in the area other than Mandela's House. More background info: The founding of the settlements of Soweto goes back to before the introduction of apartheid proper, but was still a result of segregation. It was deliberately created as a residential area for blacks only, to separate them from whites and get them out of white quarters. The collective name Soweto, short for South-West Township, however, wasn't used until the early 1960s. Small, squat, brick four-room houses (also known as “matchboxes”) were provided in the 1940s, and it was into one of those, originally built in 1945 and located in an area of Soweto called West Orlando, that then 28-year-old Nelson Mandela moved in 1946 together with his first wife. After their divorce he continued living there with his second wife Winnie Mandela from 1958. He was practising law at the time but had also already become a pivotal figure in the ANC's struggle against apartheid. After his arrest and imprisonment (see Robben Island), his family continued living in this same house, even after Winnie Mandela's own exile to Brandfort from 1977. 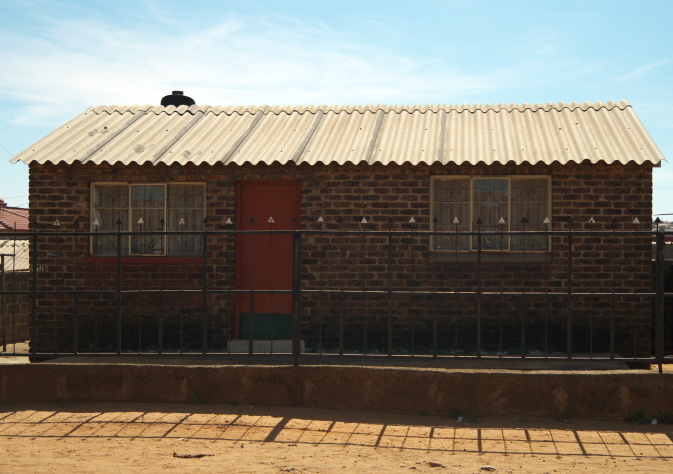 After the abolition of apartheid when Nelson Mandela was released from prison, he briefly came back to this house in Soweto, if only for just 11 days. He then moved on to a bigger place elsewhere, namely in Houghton (see under Johannesburg). 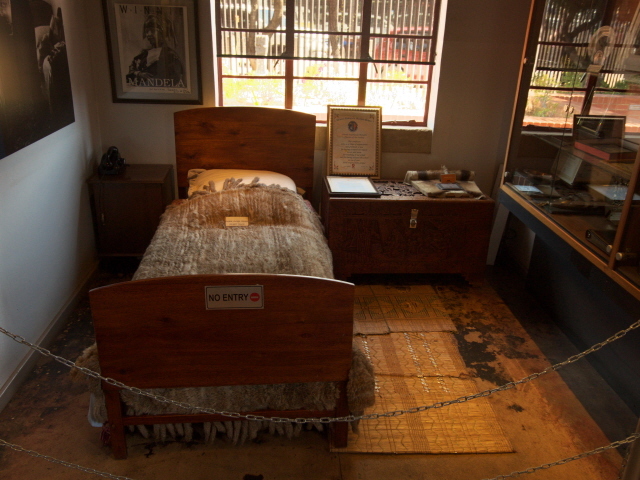 Some of the family stayed on in Soweto, but in 1996, when Winnie and Nelson Mandela divorced, they left and in 1997 Mandela donated the house to the newly formed Soweto Heritage Trust and it was declared a public heritage site. In 2008 the site was temporarily closed and reopened to the public in 2009 after 10 months of comprehensive restoration work. But back to Soweto as such: during the apartheid era Soweto grew to become the largest black township in South Africa. It was not yet incorporated into Johannesburg (that came only in 2002) but was a separate entity, yet provided the black workforce for white businesses in Johannesburg and the surrounding mines. With well over a million inhabitants it became a low-rise city in itself, yet one with only small houses, like the Mandelas', as well as vast areas of makeshift shacks that were, and still are, actually a shanty town, if not a slum, without electricity or running water. Soweto naturally also became a hotbed of protest against apartheid and a stage for civil unrest. As such Soweto also became a household name in the West. Especially so after the Soweto uprising of 1976, when students went on strike and marched in protest against the introduction of Afrikaans as the language of instruction in schools (a measure intended to further disenfranchise the black population). The police reacted with violence. They opened fire on the protesters, killing at least 176, and injuring over a thousand. Throughout the 1980s, Soweto remained a centre of resistance and, in return, a target of police reprisals. Besides Nelson Mandela, another key human-rights figure in the struggle against apartheid, Nobel Peace Prize laureate Desmond Tutu (see under apartheid and the Apartheid Museum), also had his residence in Soweto, in fact on the same street. He continued living in Soweto even after he'd become archbishop and could have moved to much more privileged accommodation provided by the church. Instead he decided to stay put in Soweto as a sign of solidarity. 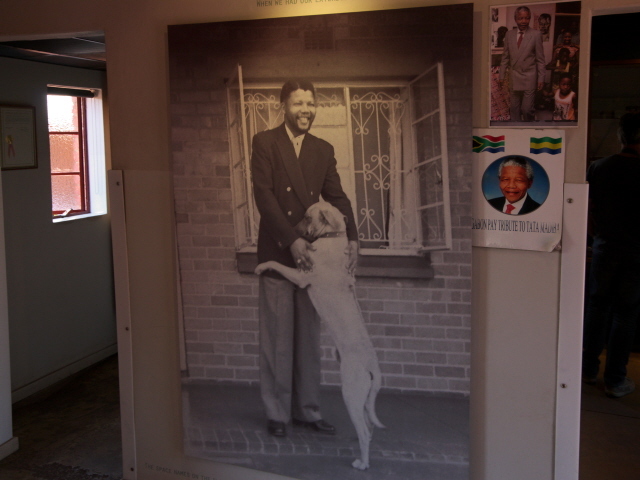 His house, though not open to the public, has become a firm fixture on tours of Soweto as well. Another such element is the Hector Pieterson Memorial, which was established in early 1990, and the museum joined it in 2002. It's named after the first victim of the Soweto uprising of 16 June 1976 (see above and, again, under apartheid and the Apartheid Museum), a 12-year-old schoolboy, who was shot dead by the police just a few blocks from here. The cooling towers used to be part of the old Orlando power station, which dated back to the 1930s, though it wasn't completed until 1955. It was a coal-fired power station serving Johannesburg until it was decommissioned in 1998. Most of the plant has been demolished, but the iconic towers were retained. They now serve as giant billboards and you can also go bungee-jumping from a bridge that has been installed between the two towers. What there is to see: When I went to Soweto it was as part of a longer day tour from Johannesburg, which first (and foremost) included the Apartheid Museum, before we carried on to Soweto. We entered Soweto at one of the more recently developed affluent parts, where well-to-do black families have built multi-bedroom two-storey houses, often with double garages as well, that wouldn't look out of place in any middle-class residential area anywhere in the West. So it wasn't the expected slum-like look that was my first impression. However, we did carry on to such areas – and ones in between. So we saw both less posh two-storey houses and long rows of workers' hostel housing, and also large shanty-town areas with nothing but the simplest, makeshift shacks built from wood, corrugated metal sheets and cardboard. It's here that the very poorest of Soweto's inhabitants live in squalid conditions still today. It is also those parts that have given rise to so-called slum tourism … being guided around by locals through these poorest of areas to get a glimpse of the kind of life they lead in these parts. My guide also offered getting us on such a walking tour with a local guide as an add-on to his tour (and at extra cost). However, I felt uncomfortable with the idea, said so, and declined. I was a bit torn, though, to be honest. On the one hand, going on such a tour would have given me insights on the basis of which I could have evaluated this form of tourism from first-hand experience. So it could have been useful. On the other hand, though, I've spoken out against the inclusion of 'slum tourism' under the banner of dark tourism so often (see also here under beyond dark tourism proper), that I thought it would be hypocritical of me to then jump on such a tour at the first opportunity. I'm still not quite sure if I made the right decision, but I know for certain that I would have felt very uncomfortable with the unavoidable element of voyeurism that necessarily comes with such tours. So from a personal, emotional point of view, I'm happy to have declined, while from a more distanced, pure research point of view I feel I may have lost out on valuable insights. It's a dilemma. Anyway, we continued to the main stop on our Soweto tour, where we got out of the car and walked, namely up Vilakazi Street, towards Mandela's House. It became instantly apparent that this is tourist central in Soweto. Nowhere in Soweto had I seen so many white people, all tourists, and there were (black) souvenir vendors everywhere so you had to fend off a lot of hassling. 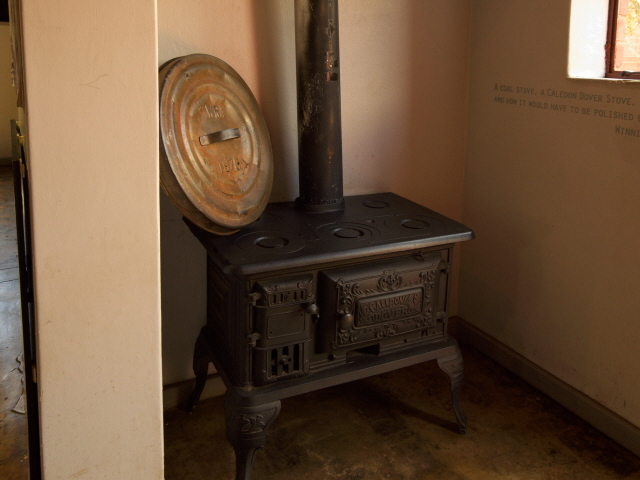 But once at Mandela's House, everything is very orderly indeed. Visitors have to go on a guided tour of the house, which lasts approximately 20 minutes. When it's busy you may have to wait a bit for the next tour to become available, as the maximum number on the tour is 20. 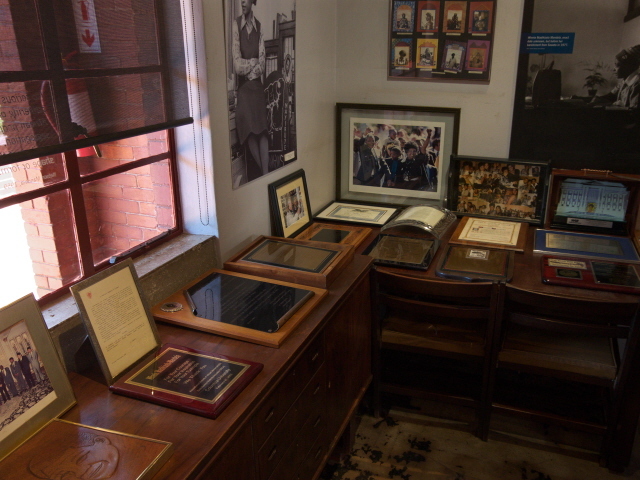 The interior of the house is filled with both original (presumably) furnishings as well as with all manner of Mandela-related memorabilia, from certificates, diplomas, awards and other documents to sculptures, posters and photos from all stages of Mandela's life. Outside in the backyard stands a symbolic tomb stone with the words “RIP Tata 1918-2013” (“Tata” is one of the many nicknames given to Mandela, this one meaning 'father' in Xhosa). On the back wall of the house you can also still see bullet holes and scorch marks from Molotov cocktails … evidence of troubled times. But today it's a peaceful place (the brisk tourism trade these days notwithstanding). Incredibly, and uniquely, there's another Nobel Peace Prize winner's house just down the road, namely that of Desmond Tutu (see above and under apartheid). It's said to be the only location in the world where two Nobel laureates lived on the same street. Unlike Mandela's house, however, Tutu's house is not open to the public. But there is a historical marker plaque just outside. On my tour we also passed the Hector Pieterson Memorial that commemorates the Soweto uprising of 16 June 1976 (see above). But we didn't stop to also visit the attached museum. So I cannot say much about that. It's said to feature audio-visuals, testimonies, photos and historical documents illustrating those events and its aftermath. I wish I had known about this before, then I would have asked to visit the place (instead of the slum tour – see above). It would probably have been quite interesting. Shame. All in all, even though I don't think this visit to Soweto was a massive highlight of my time in Johannesburg, it was still a worthwhile addition to the trip to the Apartheid Museum. Mandela's House, though very small, is certainly a moving and worthwhile spot, and I guess the Hector Pieterson Museum would have been too, had we had time for it. If ever I go back to Jo'burg, I'll try and see it then. Location: Soweto's location is kind-of in its name: to the south-west of Johannesburg (South-West Township); more precisely the area is roughly 12 km (18 km) from the city centre (by car). 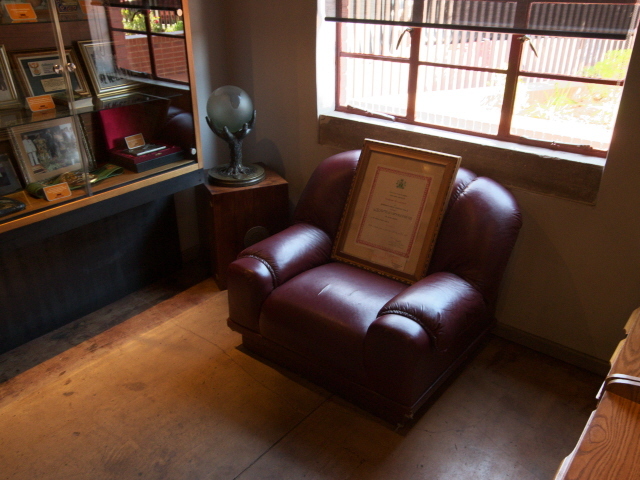 Mandela's House is on Vilakazi Street, number 8115 Orlando West. Tutu's house is just down the road on the corner of Bacela Street. The Hector Pieterson Memorial is a few hundred yards to the north at the intersection of Pela Street and Khumalo Road, while the former cooling towers are south of Orlando East, just off the main road, Nicholas Street. Access and costs: far from Johannesburg city centre, but tours to Soweto are a well-established feature of the city's tourism industry. Prices vary. Details: It would be tricky, and not necessarily to be recommended, trying to get to Soweto on an independent basis, though it wouldn't be impossible (as the relevant parts of Soweto are connected to the public transport system). But there are various operators offering guided tours of Soweto. In fact these have become a very common and regular thing with much competition. Tours vary in length and nature, from half day to full day, and from private, by car, or group tours, including by bicycle. Prices vary accordingly, and widely, from ca. 400 to over 2000 ZAR. So it's best to shop around. For me the Soweto leg was part of a longer day tour of Johannesburg, which had been organized by the operator who I booked my whole 2018 St Helena, South Africa and Zimbabwe trip with, so I can't say what just this single component would have cost on its own. 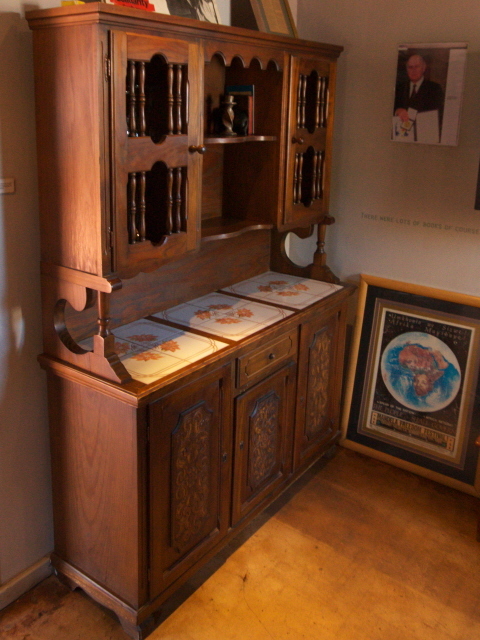 Admission to Mandela's House, including a 20-minute guided tour, costs 60 ZAR for international visitors (less for students, senior citizens, African Union members and children), opening times: daily from 9 a.m. to 4:45 p.m. (but closed on a few public holidays). 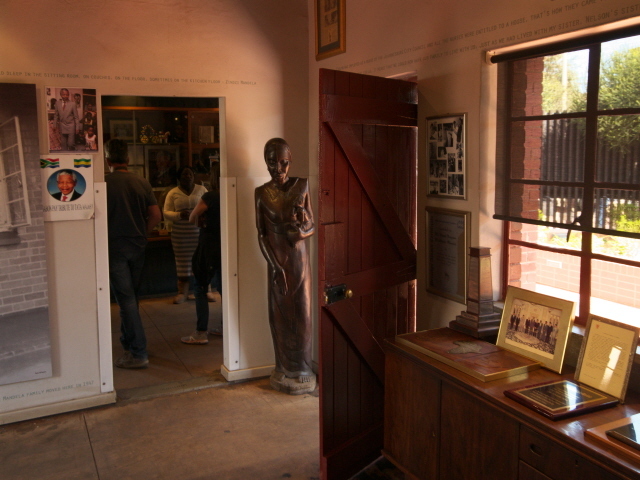 Admission to the Hector Pieterson Museum is 30 ZAR (senior citizens and students: 10 ZAR); opening times: daily from 10 a.m. to 5 p.m. (only to 4 p.m. on Sundays). Time required: Just about half an hour for Mandela's house, and only a few moments for a look at Tutu's house and the cooling towers, but how long the Hector Pieterson Museum would take I cannot say, because I didn't have a chance to go inside, but I would guess under an hour. Add to all that driving and walking time and/or cycling. Combinations with other dark destinations: Obviously the Apartheid Museum has to be the most fitting combination here. In fact it is en route to Soweto from Johannesburg city centre, so combines geographically/logistically well too. For more see under Johannesburg. Combinations with non-dark destinations: see under Johannesburg and the Apartheid Museum.